Put it in the microwave for about 1 minute and 30 seconds. Taaaaa daaaa! Your homemade Zucchini Spaghetti is ready! I love zucchini squash! It is a super versatile vegetable: we can use it to prepare lasagnas, salads, pizzas, side dishes, sauces and this amazing Zucchini Spaghetti Recipe. It can also be called “zoodle” (zucchini noodle… hehehe). 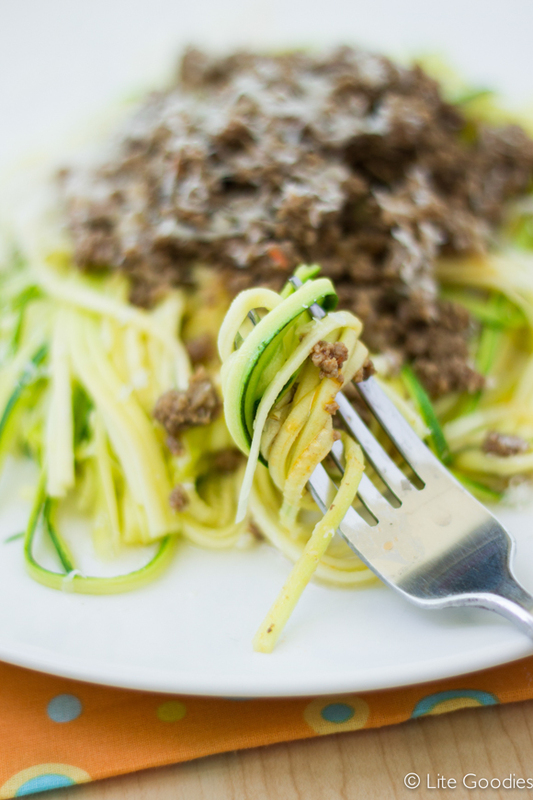 I’m excited about this recipe because it is easy (you only need a Julienne peeler) and zucchini is a low-carb and low-calorie vegetable (around 33 calories in a medium size zucchini). In other words, it is super light and weight-loss friendly. In my opinion it is a perfect option for dinner. 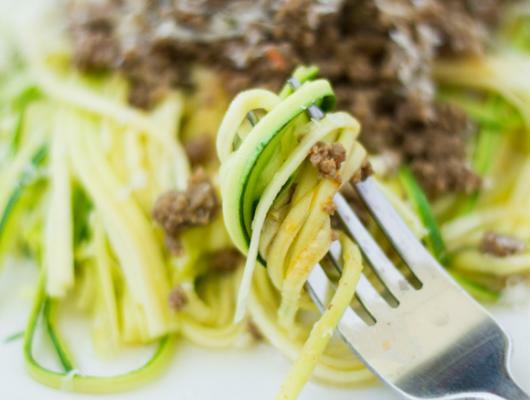 You can prepare a sauce rich in protein and combine with this delicious “zoodle”. In addition, the texture is great. It really seems like an al dente spaghetti. I served it with ground beef sauce … but I think it matches perfectly with bolognese sauce, chicken sauce, pesto, etc.